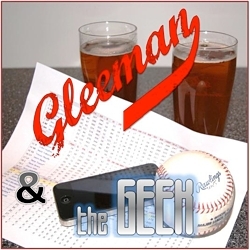 Twins president Dave St. Peter was recently our guest on "Gleeman and The Geek" for a lengthy, unedited interview about a wide variety of on- and off-field topics. We talked to St. Peter for more than 35 minutes, so I'd encourage everyone to listen to the entire episode for the full context of our questions and his responses, but here's a transcript with a sampling of his direct quotes on various subjects. There's a lot of focus on payroll. I tend to focus more on where we end up, versus where we start. ... I can assure you that Terry Ryan has all sorts of flexibility relative to where our payroll number is. But we also understand that I don't know if he views it coming into this offseason that we were, say, one or maybe even two players away. We're trying to do this right, we're trying to do this the only way we know how to do it, which is build this thing through our farm system over the long term. ... We don't focus a lot on payroll. That's something you guys in the media and all the fans focus on. We try to focus on what gives us the best chance to win. I can just tell you that there's plenty of payroll flexibility. We don't view payroll as the problem. It takes two. It's easy to say "spend $15 million on guys on one-year deals." When you're sitting in that GM chair it's a little different in terms of getting that agent to agree to that one-year deal. ... Particular from a free agent who's going to assess how close we are to really winning. You might identify a player who's a high-profile guy, but you've got to understand he also has to want to come play in Minnesota, play at Target Field. ... I can tell you Terry Ryan has had a lot of discussions with a lot of free agents, a lot of guys you have championed that we sign. Don't think that we don't necessarily agree with you, but it takes two to get those deals done. We've had a rich history here, certainly during Terry's tenure, of trying to make good baseball decisions. And we certainly have a belief in what a guy's worth. I have to trust, with all due respect, I have to trust our evaluators. I think they've done a great job. We're trying to get better. And ultimately your assessment of a player, there might be a reason why a guy got a one-year deal versus a multi-year deal that perhaps we're more privy to than maybe the public is. Whether it's health, whether it's makeup, whether a player specifically wanted to play in a certain market or a certain ballpark or with a certain manager or a certain teammate. I think TV revenue has always played somewhat of a role, certainly since the explosion of cable and satellite television back in the early 80s. We all know about the disparities in payroll that we've dealt with in our game and that's largely been driven by baseball's economic model, which certainly is much more based on local television and cable dollars being the driving force versus the national. I think on some level Minnesota is going to be Minnesota. 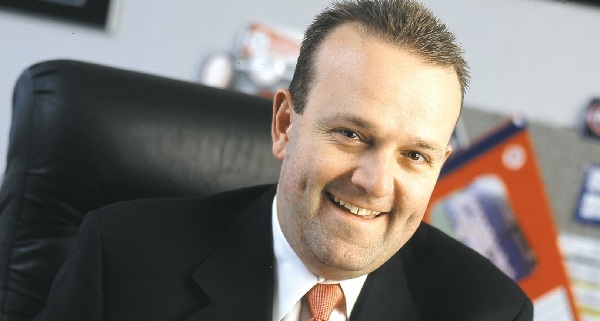 There's going to be some limitations on what we can reasonably expect out of our local partnership with a FOX Sports North relative to what the Los Angeles Dodgers can expect. ... I think right now we have a market deal. Will that be the case five years from now or 10 years from now? I don't know. The good news from a baseball perspective is now today we have a pretty robust revenue-sharing plan, so now the Dodgers, if you read, they're going to go out and sign a record-breaking deal. They're going to give up a certain percentage of that into the revenue-sharing pool, which in essence benefits every team in the game, not just the Dodgers. ... That's played a huge role in having much more competitive balance in the game. Could there be more revenue sharing? Yeah, I'd love to see it, but it's interesting in the National Football League, where it's all about national television revenue, you have many owners fighting for less revenue sharing. I think it was the right idea, it was probably the wrong time. But at the same time I would tell you that without that launch, or failed launch, of Victory I don't know that we would be where we are today relative to the television revenue that we're garnering from our partnership with FOX. I don't look back on that with a lot of regrets, but it certainly was a concept that was pretty controversial in the market at the time. I think what we were trying to do was control our own destiny, so to speak, in terms of television. I think radio tends to be a little more pure in the sense that, yeah there's a revenue component to it, but it's never going to be the single biggest driver in terms of a team's broadcast revenues. For us it was more of an opportunity that we have a sister company that's a radio station, an FM radio station, and we felt as though we could do a better job of servicing fans in the Twin Cities metropolitan area with not only the game sounding better, but hopefully covering more area, penetrating more buildings. I'd say your average renewal rate is probably 75-80 percent. I can tell you it's extremely good for a team coming off of two consecutive 90-plus loss seasons. It continues to confirm that this is frankly a dynamite baseball market and one that certainly has great passion. 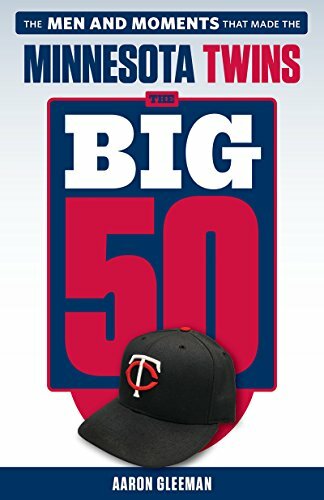 I'm hopeful that perhaps the new football stadium, which will be able to be configured for baseball, perhaps could be the long-term home for Twins Fest despite the fact that we don't have any history there. I think it'll lend itself well to the event. But short term, as we move from the Metrodome, we'll probably have to change the event pretty dramatically for a couple years. ... It probably becomes a little bit smaller, it probably becomes a little bit different in terms of the way we price tickets. And I'm not really thrilled about that, but I just think that's going to be the reality of it. I think we expect to get better. Everybody talks about how we look on paper versus everybody else and I can tell you from my experience in this game is that's a very dangerous assessment. ... At the end of the day I'd like to think that you're going to see a baseball team that's very competitive, we hope to obviously be in a position where we can contend, but first things first I think we've got to restore some of the fundamentals and we've got to get off to a better start. I think that's been a significant issue for us, particularly last year, the year before. We've got to play better early and we understand that. Our everyday nine lineup, we frankly think is good enough. We think we'll score enough runs. We think our bullpen will be fine. But ultimately it's going to come down to who's on that mound in terms of the starters and there's going to be a lot of focus on that in spring training. There's a whole lot more where that came from--the above quotes represent maybe one-third of the total interview--so check out the full episode. I appreciate Mr. St. Peter’s position – but the line of “we’re trying to make good baseball decisions” (with regard to payroll) is a bit of a cop-out line — isn’t every team trying to make good baseball decisions? Give us a break man…and give us a little credit for having brains. The bottom-line is that you, Mr. St. Peter, and the other members of the Twins front-office don’t really believe that you have a legitimate shot at winning for the next 1-2 years…and you are trying to build a team that can win on a year-in, year-out basis. I fail to see why he feels the need to give us silly one-liners in lieu of frank discussion about how things really are. “I can just tell you that there’s plenty of payroll flexibility. We don’t view payroll as the problem. It takes two. It’s easy to say “spend $15 million on guys on one-year deals.” When you’re sitting in that GM chair it’s a little different in terms of getting that agent to agree to that one-year deal. … Particular from a free agent who’s going to assess how close we are to really winning. You might identify a player who’s a high-profile guy, but you’ve got to understand he also has to want to come play in Minnesota, play at Target Field. … I can tell you Terry Ryan has had a lot of discussions with a lot of free agents, a lot of guys you have championed that we sign. Don’t think that we don’t necessarily agree with you, but it takes two to get those deals done.” Well, if this is the response, I think any organization have to ask themselves why the good workers (players) don’t want to come here. And answer the question honestly. Probably they are trying to answer that question internally, and don’t want to say publicly because they consider it bad PR. If not, the problem is much, much deeper than a year of bad pitching. DIrectly contracted by this one? Sounds like he doesn’t want to knock the team/city/stadium, but at the same time he wants to be able to use the team/city/stadium as an excuse for some of their personnel decisions. Seems like a lot of boilerplate responses, which is to be expected from a non-personnel front office guy. So is it dollars and years, or did they not want to play here? Over the past three off-seasons, there have been dozens of the mid- to budget-level players, signed elsewhere to short-term, affordable contracts, who may have helped this team not lose 90+ games per season. I’ve worried often during that period that it was less about the Twins’ regard for these players and more that the Twins’ organization wasn’t regarded by players and agents as one for which they would want to play, which is a far more damning proposition. “Silver lining” — if there is one — to the Twins being victim of a disparity in regional sports network fees: local MN fans won’t experience it in the monthly cable bill. In LA/NY, the cost of broadcasting the Dodgers, Lakers, or Yankees typically gets passed on by cable / sat operators to the end consumer. So in LA, you’re talking about $7+ a month added to your cable bill to have 2 channels for Lakers and Dodgers. Until, of course, it reaches that mystical 52% of revenue. Then it’s a huge problem and there is no way they can spend another cent, no way, this is a business, 52% is a very fixed number, small market, blah blah blah. And fans/media can’t even bring it up. Of course it’s not a problem right now. They are absolutely raking in profits because 81% of season ticket holders are either masochists, idiots, or the most generous group of citizens on the planet. This is perhaps the biggest lie I have ever heard from the Twins, and they have a “rich history” of lying to the people who line their wallets. Thank. You. For the transcript! I don’t podcast, and this is great stuff. I would like the following question answered: Who was responsible for the Nishioka debacle? I like St. Peter and I like his responses. Truthful enough for me and, I think, he is being very honest with Twins philosophy whether you agree with it or not. If they are shrinking payroll because of poor fits with available free agents, etc, and not because of limitations imposed by ownership, then how about reducing ticket prices to reflect the quality if the on-field product? In other words, if payroll is not limited by revenue, then how about pass some of those savings off to us consumers? They had no problem inflating their revenues with increased ticket prices after the move to Target Field (this in addition to the increased revenues from owning a tax payer-financed stadium with dedicated concession fees). Aaron, I would love your take on the Rays signing of Kelly Johnson. If there is payroll flexibility, even if you had to surpass the $2.45 mil and go all the way to $3 mil, Johnson might look pretty good at 2B in this lineup. He’s not great, as evidenced by his availability and signing a 1 year deal at that price, but he would have provided additional power and stability in our infield. I’m certainly not looking at him as though he would have made a great impact and ‘saved’ 2013 or anything, but I think he would have been a reasonable addition to improve the product on the field this year. No disrespect, but total BS. There is zero probability that worthwhile guys like Marcum and Myers are all just avoiding the city, stadium, or franchise while pitch-to-disaster guys like Marquis and Correia just happen to be the wacky contrarians who like it here. The Twins are getting the wrong guys, blaming their market for it, and even managing to contradict that lame excuse in the same paragraph with the ‘years/dollars’ comment. I’m certain that some guys look at back-to-back 90+ loss seasons and don’t want any part of that. Or theymight be willing to stomach it in a more interesting/exciting location. But St. Peter doesn’t really want to acknowledge either of those points, which is why he backled off of it and went with the “years and money” assertion, which really are the two main factors for most players.